As Saudi Arabia’s economy enters a post-oil era, its mega-cities, a number of which are under construction, are pushing the country’s future growth, quite aggressively. 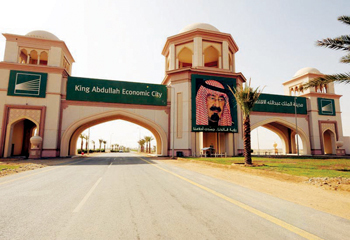 The most advanced of them in terms of development and infrastructure, King Abdullah’s Economic City (KAEC), has been working overtime to attract the projected number of investors, businesses or residents. Al Rasheed said the economy was transforming away from oil. “The message is that we are entering a post-oil era in which we are diversifying the economy. We had a hard 2016 to 2017 in terms of economic growth, but I think 2018, with the highest ever government budget announced in the kingdom’s history, (it should improve),” he said. Al Rasheed is overseeing the creation of KAEC, a port and manufacturing city on the Red Sea that, it is hoped, will boost Saudi’s trade relations with the rest of the world. The world’s largest privately-funded new city, was founded in 2006 by King Abdullah bin Abdulaziz Al Saud, the former king of Saudi Arabia, although it is not yet complete. The ambition behind the new industrial city was for it to play a part in Saudi Arabia’s economic transformation beyond a predominantly oil-based economy. With a national population forecast to double by 2050, officials believe that the Red Sea region has the potential to be a major growth driver for the global economy. Located on the west coast of Saudi Arabia, KAEC covers an area of 181 sq km, approximately the size of Washington DC. It comprises King Abdullah Port, the Coastal Communities residential districts, the Industrial Valley and the Hejaz district, which includes the Haramain high speed rail station. KAEC is being developed by Emaar, The Economic City, a publicly listed Saudi joint-stock company established in 2006. According to reports, the hub has developed 45 million sqm, which is set to increase to 75m sqm over the coming five years. About 120 regional and global companies that include Aramex, Mars, Pfizer, Petra, and Sanofi are operating from KAEC. The zone which currently has 7,000 residents will host about 28,000 by 2020. The King Abdullah Port is rated among the world’s 100 largest ports and second biggest on the Red Sea occupies a total area of 15 sq km. The port’s throughput increased 14 per cent in the first half of 2017 to 821,694 TEU (twenty-foot equivalent unit) from the same period a year earlier. Once complete, KAEC, which has the world’s deepest 18-meter water berths, will be able to handle 20 million containers. “It took us a decade to get here, but we have been working on being a non-oil economy for that amount of time. 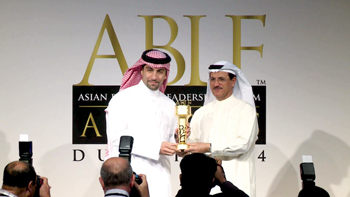 We have succeeded in many areas, one is being a global logistics and manufacturing hub,” Al Rasheed said in a report. Al Rasheed is now planning to tap the leisure and entertainment space, the new industries that the kingdom is cultivating under Vision 2030 with an aim to nurture tourism with multibillion dollar projects that leverage the strategic location of the Red Sea in addition to the kingdom’s status a prime destination for religious pilgrims. “We moved on, we pivoted towards leisure and entrepreneurship. With the growth that Saudi Arabia sees in its population with the resources that it has our success has been to be able to leverage that strong local market,” Al Rasheed said. The zone has built a state-of-the-art golf course and academy as well as a five-star hotel that have attracted visitors from within and outside the kingdom. In total, KAEC is building 38 projects in the leisure field. The City is also positioning itself as an education destination that caters to Saudi youth and entrepreneurs. Prince Mohammed Bin Salman College for Business and Entrepreneurship, affiliated with Babson College offers an MBA education and courses in entrepreneurship to KAEC’s 7,000 residents, and students from within and beyond the kingdom. KAEC wants to cater to the kingdom’s young population - 70 per cent of Saudis are under the age of 30 - and small and medium sized enterprises which are the back-bone of the non-oil economy. Looking forward KAEC plans to expand the logistics footprint in the zone’s industrial valley. The City signed a series of agreements and partnerships worth $5.3 million on the sidelines of the third edition of the Time Forum, held last November. The signings included an agreement between the General Customs Authority and the Economic Cities Authority (ECA) to establish a deposit and re-export zone in KAEC, an agreement to establish an auto racing circuit at Lagoona and Marina Dreams, an agreement to establish a gas station, and another to expand the Industrial Valley. In addition there were agreements in the real estate development, tourism and leisure sectors, and supporting administrative services.